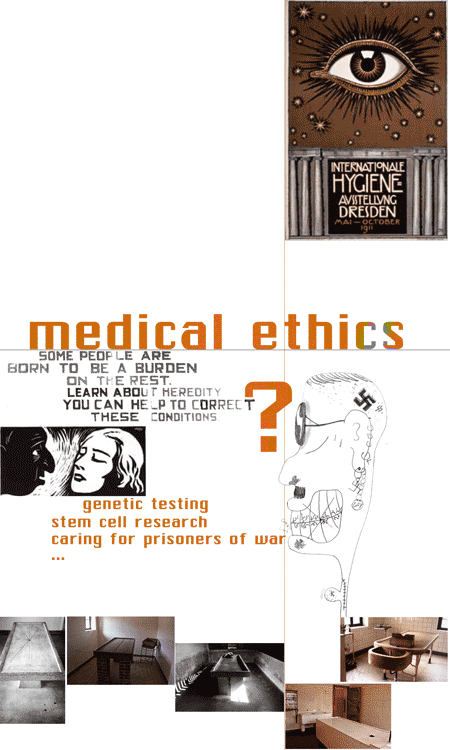 The practice of medicine in Nazi Germany still profoundly affects modern-day medical ethics codes, according to Alan Wells, an expert in medical ethics with the American Medical Association (AMA) and Patricia Heberer, historian at the Center for Advanced Holocaust Studies at the United States Holocaust Memorial Museum (USHMM). To teach those lessons to the next generation of physicians, the AMA and the USHMM announced plans to deliver a lecture series on the subject to medical schools around U.S. The collaboration between the AMA and the Holocaust Museum coincides with the Museum's special exhibition, "Deadly Medicine: Creating the Master Race." "During the 1930s, the German medical establishment was admired as a world leader in innovative public health and medical research," Dr. Wells said. "The question we want to examine is: 'How could science be co-opted in such a way that doctors as healers evolved into killers and medical research became torture?'" Dr. Wells and Dr. Heberer said. "The story of medicine under Nazism is instructive and an important theme in understanding the evolution of the Holocaust," said Dr. Heberer. "Many of the most important issues in medical ethics today — from genetic testing and stem cell research to caring for prisoners of war are directly affected by the experiences of medicine leading up to and during the Holocaust," Dr. Wells said. "Physicians need to explore these issues without getting caught up in political agendas or the results can be something we never intended and cause great harm." According to Dr. Wells, World War II era Germans were extremely advanced in medicine, technology and public health research but these successes have largely been overlooked by history because of the medical extremes of the Holocaust. These advances and campaigns, however, were eventually aimed exclusively at the "Aryans" — the Nazi ideal of the "master race." "Adolf Hitler spoke of Germany as a body with himself as the doctor," Dr. Wells said. "He wanted to make Germany 'healthy' by eliminating diseased, unhealthy parts of the body. At first this meant killing the disabled. But because the Nazis also believed that Jews possessed 'bad' genes, they, too, came to be portrayed by public health 'experts' and 'scientists' as a threat to racial purity and a healthy nation."